When it comes to dining with family in Key West, it’s important to keep a few things in mind. First, you want to go to a restaurant where the kids can spread out, get comfortable and have fun. You’ll also want a spot with a great menu featuring a wide variety of flavors for picky eaters. And, of course, you don’t want to break the bank. We’ve narrowed down the best family-friendly restaurants in Key West for your dining enjoyment. Set in iconic Mallory Square where the Sunset Celebration is held nightly, El Meson de Pepe is an authentic, family-owned Cuban restaurant with a great view. Enjoy the sunset with the family and then grab a table on the patio at El Meson de Pepe where you’ll be serenaded by live music. Grown ups should definitely order a round of mojitos. From ropa vieja to the Cayo Hueso Cuban Mix sandwich with plantains, rice and beans, there are so many delicious flavors to indulge in. There’s even a kids’ menu serving more familiar fare like burgers and chicken fingers with fries. With an expansive patio in the heart of Duval Street, Fogarty’s is an easy place to pull off a family meal. There’s plenty of room for kids to fan out, portions are generous and menu options are plentiful. Some of their classic dishes include chicken broccolini pasta, the shrimp & bacon club and tex-mex eggrolls. There’s also a wide selection of salads and sandwiches, including a delicious juicy cheeseburger. For the grownups in your party, Fogarty’s has one of the widest selections of frozen drinks on the island. Located on the Historic Seaport, the Conch Republic Seafood Company is a salty, open-air waterfront restaurant with lots of character. There’s a wrap-around bar with a giant aquarium in the center of the restaurant and live music at happy hour. Grab a table in the spacious dining room and order up all the classic Key West seafood dishes you’re craving including conch fritters, conch chowder, mahi sandwiches and key lime pie. They’ve got it all in just the right setting! For an easy, casual meal on-the-go, stop by Bad Boy Burrito adjacent to the Bottle Cap. You’ll order at the counter and build your own organic burrito with delicious fresh ingredients, sauces and toppings or you can select from their menu of tacos, salads and smoothies. There’s plenty of seating on the shaded patio to enjoy a delicious lunch. 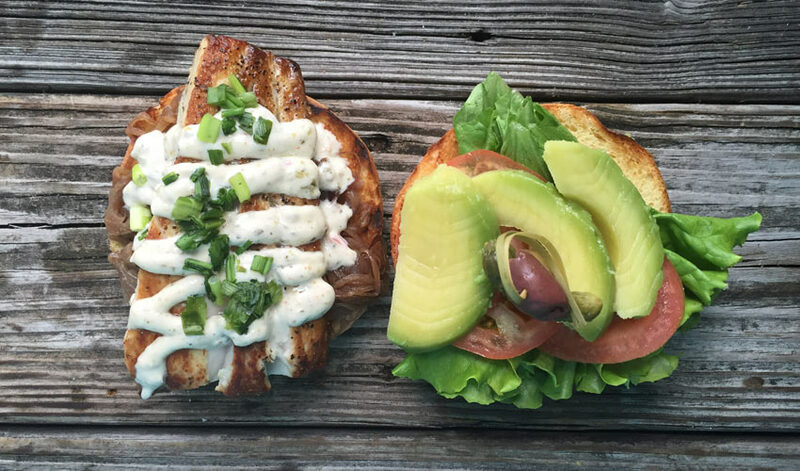 Fisherman’s Café is a casual breakfast and lunch counter near the Historic Seaport, a nostalgic café dedicated to the flavors of Old Key West and Cuba. Whether it’s a Cubano breakfast sandwich made with eggs, pork shoulder and chorizo or a blackened shrimp club wrap for lunch, the flavors really deliver. Order up and then walk over to the docks to enjoy your lunch with a view. Blue Heaven is easily Key West’s most iconic restaurant. Tucked away in Bahama Village, you’ll understand the name as soon as you set foot in this subtropical backyard shaded by palm trees and ship sails with pastel-painted wooden furniture. It’s truly heaven on earth. It’s a classic breakfast destination with its surf & turf eggs benedict, but it’s also a great destination for any meal of the day with delicious dishes like jerk chicken and lots of vegetarian options. For kids, there’s plenty of space to run around and there’s even a ping-pong table. 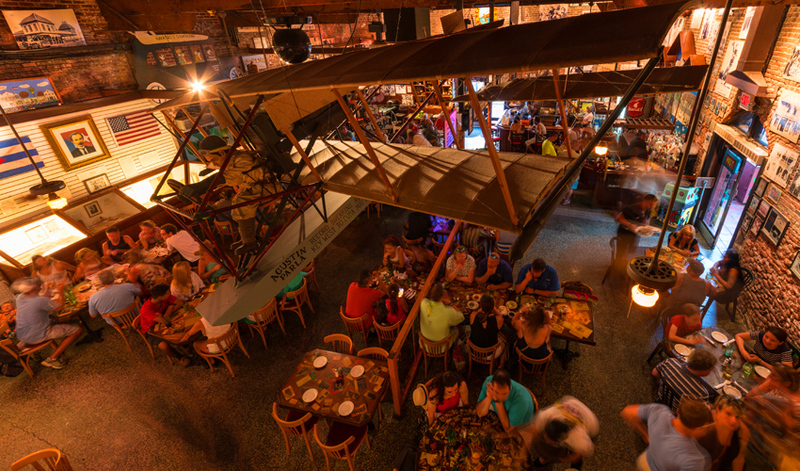 Jimmy Buffett’s Margaritaville is a classic restaurant to melt into the Key West state of mind. With Buffett songs on the speakers, as well as live musicians, it’s a fun place to enjoy a cheeseburger in paradise with the family. Grown ups: definitely order a round of margaritas here! There’s also a souvenir shop on site for any serious Parrot Heads in your party who want to scoop up a t-shirt.